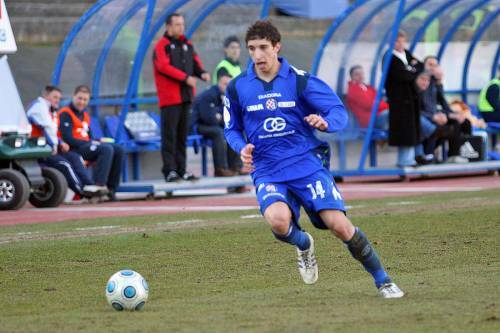 I must admit to a slightly suspect source on this one, but word on Pies Street is that Arsenal have entered into ‘final talks’ with Dinamo Zagreb this morning over an £8(ish) million deal for highly-rated, 19-year-old right-back Sime Vrsaljko. A quick peep at his bio (i.e. wiki) shows that Vrsaljko is fairly vrsatjl and can play comfortably at either right or left-back or in a more advanced midfield role – as he has done for the Croatian U15, U17, U18, U19 and U21 sides. According to the aforementioned source, Dinamo chairman Zdravko Mamic flew into London this morning to iron out any potential kinks in the move with a phalanx of Arsenal representatives – though it is still unsure as to whether the transfer will be ready to go through before the deadline on Monday. More when (and, indeed, if…) we get it. Maby he’ll break his leg against Birmingham, spend eight months out and wont be the same when he comes back. Then get sold to the club he came from?